I am a big fan of purple. Not so much blue, but I think this dress technically qualifies as blue. Cobalt seems to be my happy place between purple and blue. Or Byzantine Blue as J.Crew would call it. I think this dress is a good alternative to a black dress without being too bright. You can be more neutral with it and do simple jewelry and black shoes but why be neutral when you can add a fun necklace and silver shoes? I love dresses for their simplicity but I always love dressing them up with fun jewelry and shoes. 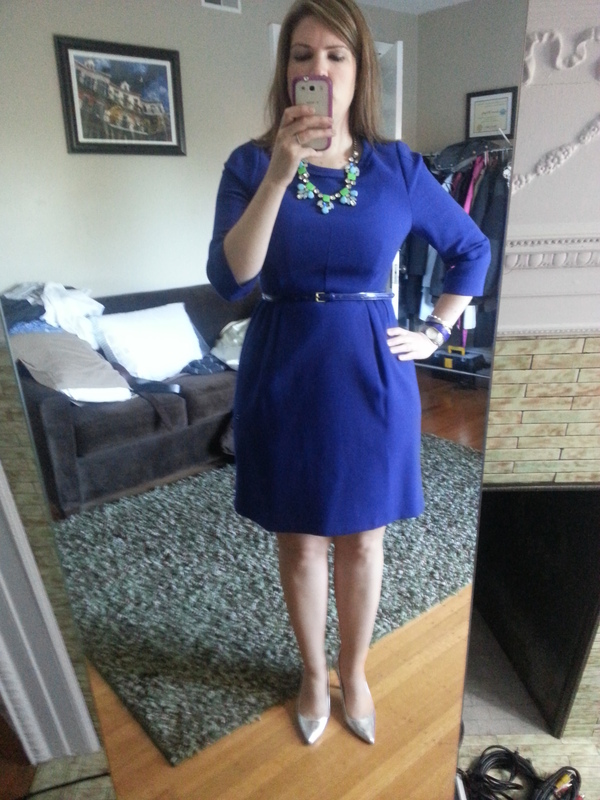 This is the J.Crew Teddy dress from 2012, which I recently had lengthened. You can see that it added a little bit more flare to the skirt, but I was able to add another two inches of length from letting out the skirt. And it’s still above the knee. But not nearly as much as before. I have this dress in black too and with black tights it’s ok, but I will probably also have that one let out as well. My silver mirror Everly pumps are still in constant rotation – the silver finish still looks great on these shoes. I recently just picked up the metallic Viv flats in silver and I can’t wait to try them out! 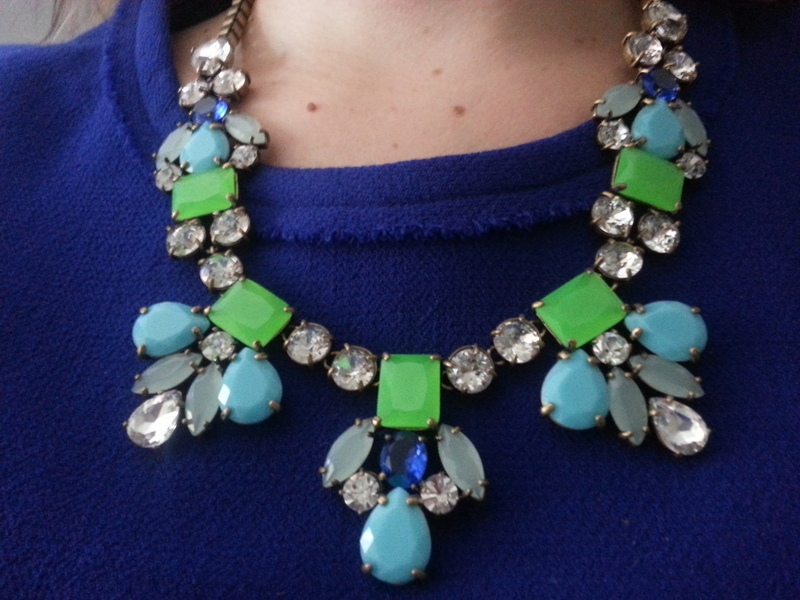 The J.Crew bright stone necklace is the perfect addition to this dress! It is definitely inspiring me to try more shades of blue. As usual, would love to hear what you think and thanks for visiting!